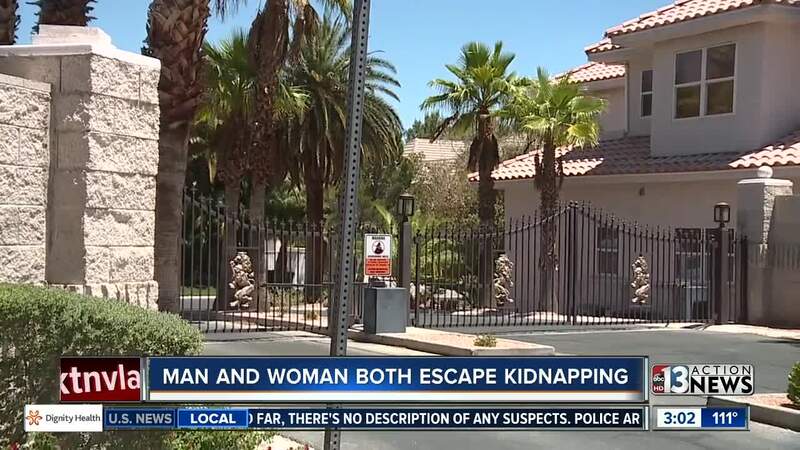 UPDATE 3:21 PM: The Las Vegas Metropolitan Police Department is calling the circumstances surrounding a early morning kidnapping "suspicious." Neighbors near the $1.9 million dollar mansion where police say a man and woman were believed to have been taken from near Oakey and Buffalo say the home has it's own suspicious history. "This is the third time there's been an incident," said one neighbor who declined to give her name. "Last night, my daughter and I heard the helicopter circling," she added. That neighbor went on to describe an incident in 2017, when police arrived at the 6,600-square-foot mansion with a SWAT team and battering ram. "It's just not what you expect to see in this kind of neighborhood," she added. Contact 13 confirms police were called to the home in 2015 for a robbery, home invasion, and shooting. At the time, police said the incident was drug related. Contact 13 searched Clark County ownership records for the home and found Joseph Provenza owns the property, having purchased it in 2011. Attempts to contact Provenza were not successful regarding the reported kidnapping. The Nye County Sheriff's Office confirms Provenza has an extensive criminal history including drugs, burglary and fraud. The Pahrump Valley Times reports Provenza and several others were arrested in "Operation Super Lake" in 2015. According to the Las Vegas Review Journal , Provenza was awarded $41.5 million dollars in a personal injury case in 2007 after suffering burns over 90% of his body in a motorcycle accident. 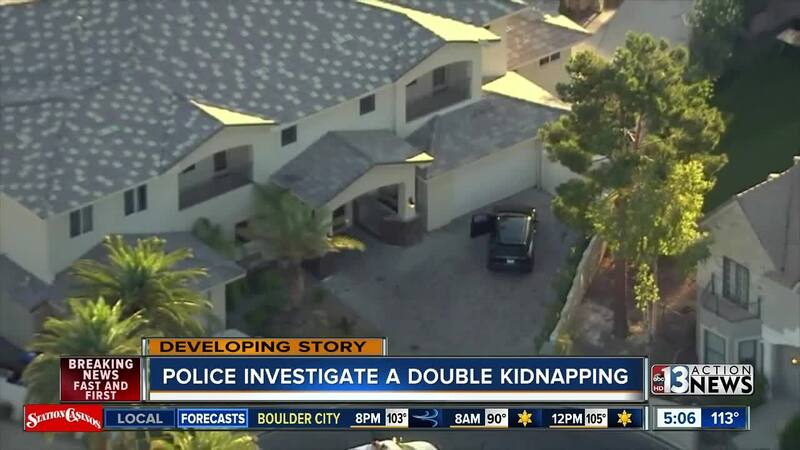 Officers are investigating a kidnapping that took place in the area of Buffalo Drive and Sahara Avenue. Police have been able to confirm that a man and a woman were kidnapped and both placed separate 911 calls after managing to escape at two different locations. They believe the incident occurred around 2:55 a.m. but it is unclear at what time the two victims escaped their alleged kidnappers. 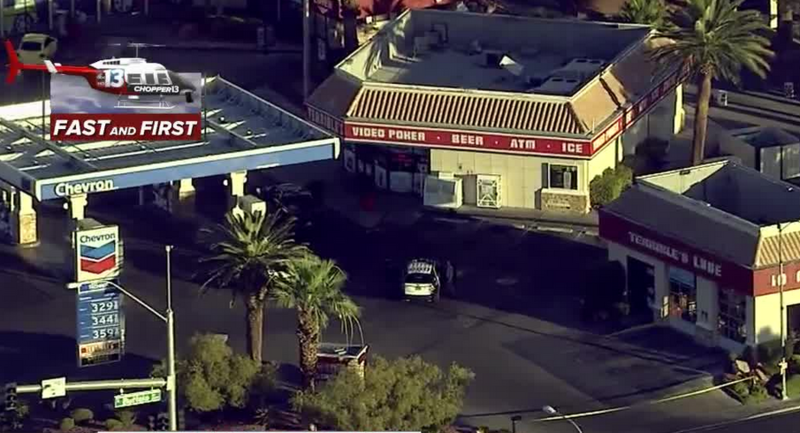 Chopper 13 was over the scene at the Terrible Herbst Gas Station on Buffalo Drive and Sahara Avenue and saw police talking to witnesses. Contact 13 visited Calico Jacks, the location where the woman was able to escape. A manager confirms there is surveillance video of the woman but declined to release it, citing the police investigation.